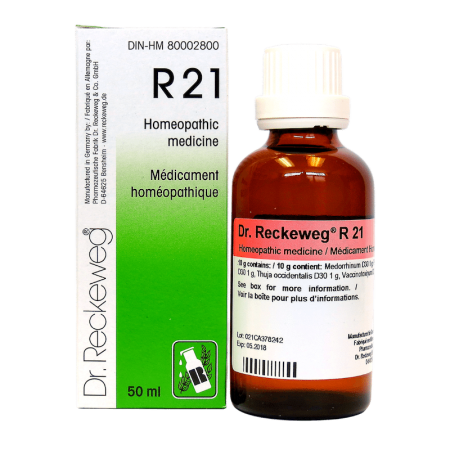 R14 | Dr. Reckeweg Homeopathic Specialties | Bio Lonreco Inc.
Avena sativa D6, Chamomilla D4, Coffea D12, Eschscholtzia californica D6, Humulus lupulus D6, Passiflora incarnata D6, Valeriana D6, Zincum valerianicum D12 ana 12 mg.
Non-medicinal ingredients: croscarmellose sodium, lactose monohydrate, magnesium stearate. Adults and children (ages 12 and up) 5-10 drops 3 times daily in a little water or undiluted, or as directed by a healthcare practitioner. Adults and children (ages 12 and up) 1-3 tablets 1-3 times daily or as directed by a healthcare practitioner. Drops: Do not use if you are hypersensitive to brome. Tablets: Do not use if hyper-sensitive to Chamomilla or to other plants of the Asteraceae family.